OKA-Tec GmbH - A new technique for enhanced production. A new technique for enhanced production. OKA-Tec GmbH offers consultancy, research and development, production and global supply of special and unique antioxidants and stabilizers. We use state of the art technologies in our laboratory and plant in Bönen which assure the production of excellent performing and innovative antioxidants and special stabilizers in powder and granule form for engineering plastics. Are you looking for a specific technical solution regarding long-term stabilization of polymers? We will help you to exceed market applications. Our qualified team will evaluate the best technical solution for your application. The steady development of new products, our longtime experience and comprehensive know-how make it possible to provide you with capable and tailored-made solutions for your challenging requirements. Innovative additives for demanding applications. OKA-Tec develops, produces its OKABEST™ and OKAFLEX ™ stabilizers leading to new or significantly improved properties of your engineering plastic regarding long-term-, hydrolyse-, hot-oil and heat stability. For instance, with our special stabilizers, you could achieve much higher long-term heat stability for demanding PA and PP application in automotive “under-the-hood“ applications. Best quality is our standard. We buy the relevant raw materials only from carefully selected suppliers, with a good relationship and experience for a long lasting time. 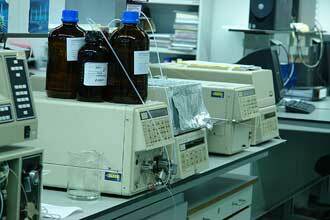 The additional and systematic quality analyses of all OKEBEST™ and OKAFLEX™ additives are done by our staff and additionally through independend test laboratories. This approach is a self-evident and certain part of our comprehensive quality management. OKA-Tec operates according to the DIN EN ISO 9001:2008 standard. Flexibility and safety until delivery. OKA-Tec values maintaining uncomplicated order handling and high safety of deliveries. We guarantee the fastest lead time, if the ordered goods are in stock. Advantageously our location is close to Dortmund, near the motorways A1 and A2. We are active on a global scale with worldwide based representatives providing local warehouses and services for e.g. in U.S.A. and Asia.